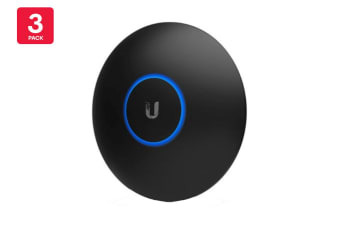 Seamlessly blend your Ubiquiti NanoHD wireless point into your decor with this easy to apply black matte skin. Access points ruining your office or home feng shui? No problem! The 3 Pack Ubiquiti UniFi NanoHD Skins (Black) flawlessly blends into your interior so well that you won’t even notice an access point is there!